The TV Ratings Guide bridger cunningham cosby editorial TVRG Is it Time for Television to Air The Cosby Show Reruns Again? Is it Time for Television to Air The Cosby Show Reruns Again? Written Advocating the Beast by Bridger Cunningham. For 30 years, few could find an unpleasant word to associate with the 1984-92 NBC sitcom "The Cosby Show." Common discussion may have included words such as "hit," "wholesome," "refreshing," and for those familiar with the ratings world, "the show which defined the 80's." Flash forward to late 2014, and 77-year old Bill Cosby was pelted with overwhelming allegations of sexual misconduct spanning back to the 70's. Networks immediately pulled lucrative reruns from their rosters, and a show which helped revive a struggling NBC sadly was eclipsed by a performer's haughty behavior. Bill Cosby was found guilty of three felonious counts of aggravated indecent assault on April 26, 2018. TVRG will abstain from delving too far into the rabbit hole of what went down, as too many adjacent outlets are eager to profile that unfortunate dumpster fire. Where this article will park its wagon is discussing the wreckage of what was once one of television's finest masterpieces. The Cosby Show debuted in the fall of 1984 after NBC wallowed in 9 years of 3rd Place ratings woes. Cosby's success not only catapulted the new sitcom to 3rd Place with a 24.3 rating, but also enabled the network to push back into 2nd. Cosby ruled the Nielsens in 1st place from 1985-89, reaching its zenith during the 1987-88 season (check out the ratings for the show's 1984-92 run HERE). ABC's Roseanne knocked Cosby out of 1st place in 1989 as the series aged, and it ended its run in 14th Place with a 16.1 in 1992. 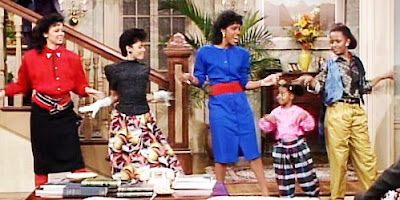 Following its cancellation, the Cosby Show enjoyed lucrative success for an additional 22 years as eager television outlets relied on its sturdy performance after the show went dark. The question remains could American viewers today look past what became public since 2014? The series has potential to again grab viewers. Not to moon on the show's wholesomeness or acclaimed positive depiction of an upper-middle-class Black American family. Rather, resuming syndication would present an opportunity for a mixture of love, hatred and critical thought. Some may tune in nostalgic of the happiness the series brought television for so many years. Haters will revel in ripping on the show, similar to what viewers do to the Howard Stern and Keeping Up With the Kardashians flagships. Newfound, analytical group of sociologists may examine body language and early indicators of Cosby's duplicitous lifestyle. And a newer generation may tune in out of curiosity to see how this villainized figure made a sitcom succeed, all the while falling in love with the lauded ensemble. No matter what the motive, these views can still attract Nielsens. Whether it is of good taste is a differing discussion. And certainly in line with the tastes of news outlets such as CNN, FOX News and local outlets shamelessly exploiting society's tragedies. 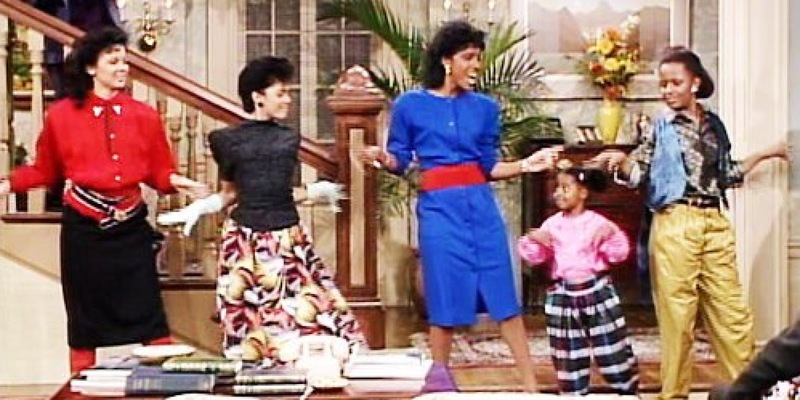 Pulling reruns of The Cosby Show was a responsible choice in 2014 for media outlets due to the controversy. However, society needs to examine what made the series successful. Bill Cosby's name instigated the series' success as a hook to drawn new viewers in. Once viewers familiarized themselves, the ensemble became just as strong (if not superseding) in popularity as Cosby himself. Phylicia Rashad earned acclaim as poised confident matriarch Claire Huxtable. And over time, the Huxtable children distinguished themselves, lead by polished yuppie Saundra (Sabrina Le Beauf), bohemian rebel Denise (Lisa Bonet), passive Theo (Malcolm Jamal Warner), naive Vanessa (Tempestt Bledsoe) and precocious adolescent Rudy (Keshia Pulliam Knight). America grew to love these characters more than Cliff Huxtable and may present rooting values for viewers to invest in daily viewing habits.